For the last two years my guild has done a theme with a challenge. 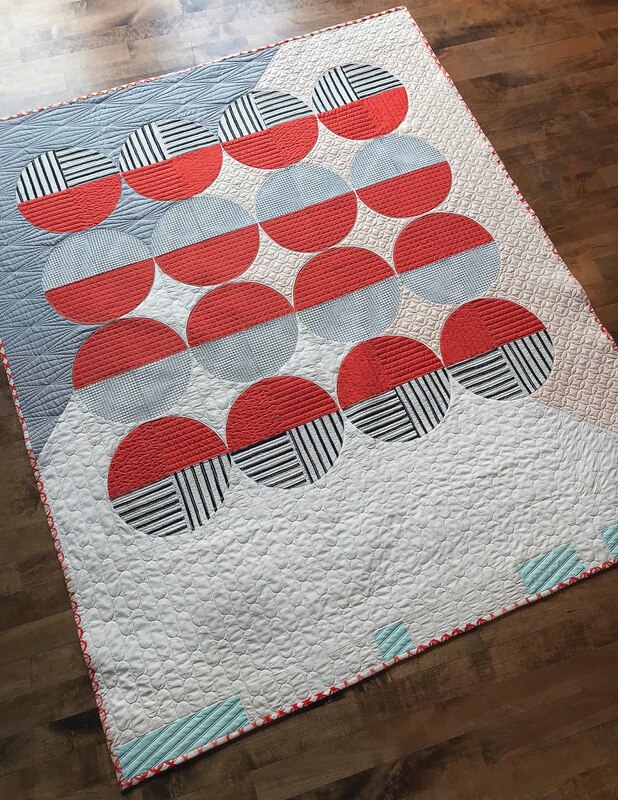 Last year's theme was solids and the challenge was to make a mini quilt with only solids in three colors, please see my Lost in Oz quilt that hung at QuiltCon this year. 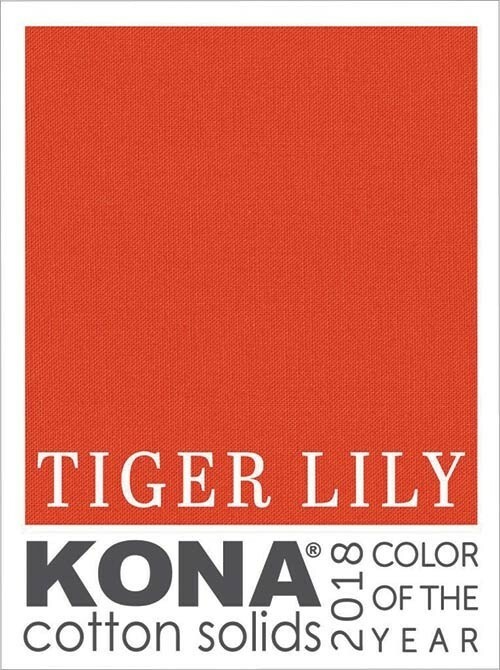 This year the theme is curves and the challenge was to make a 50" x 60" quilt using curves and the Kona color of the year, Tiger Lily. 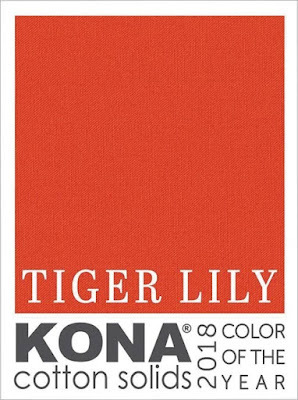 Tiger Lily is a really great color of orange red and was my inspiration for the quilt name. I added some other soft Kona Solids and a few Cotton and Steel prints to finish up the design. I decided early on to quilt each of the background colors with a different motif and to use the prints as my quilting inspiration for the circles. I really love the look of orange peels and they find their way onto quite a few of my quilts but before my Gammill I could only successfully execute 4" circles the orange peel on this quilt is 1 1/2"! On the back are a couple Cotton and Steel prints from their Poolside line. The colors couldn't be more perfect. 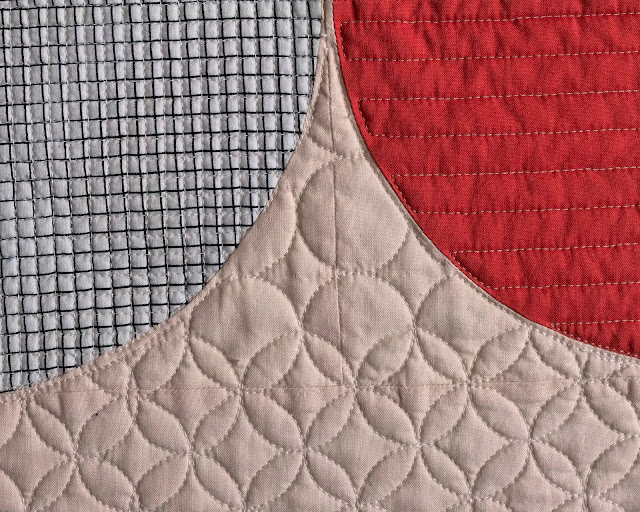 The thread broke as I quilted over it. 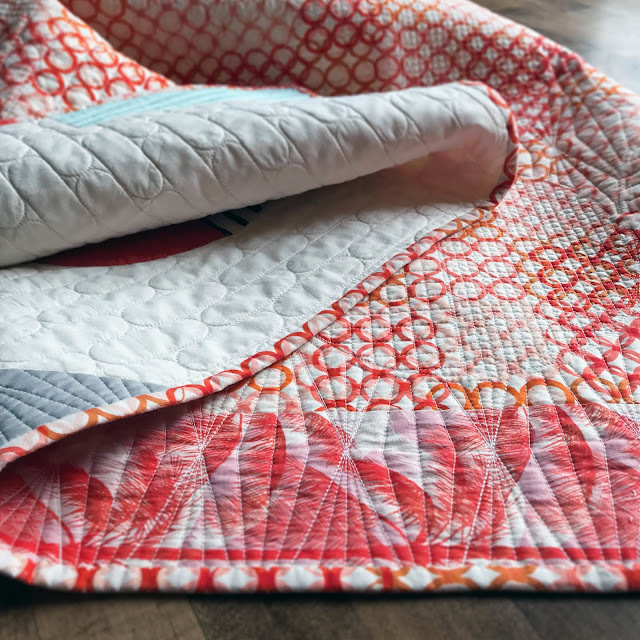 I've been using Aurifil 40-3 for most my quilting and really liking it but I only have two colors right now, cream and medium grey. 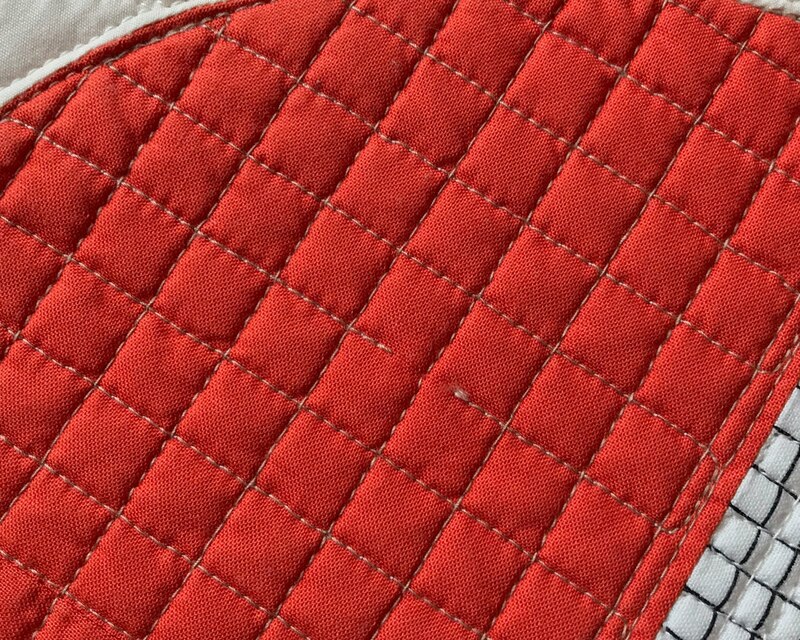 My Gammill came with a thread sampler package and I found a golden brown in that blended decently but for whatever reason I had several thread breakages and this break in the quilting. It was especially disappointing because I had ironed all my seams open for the first time to avoid just that problem. 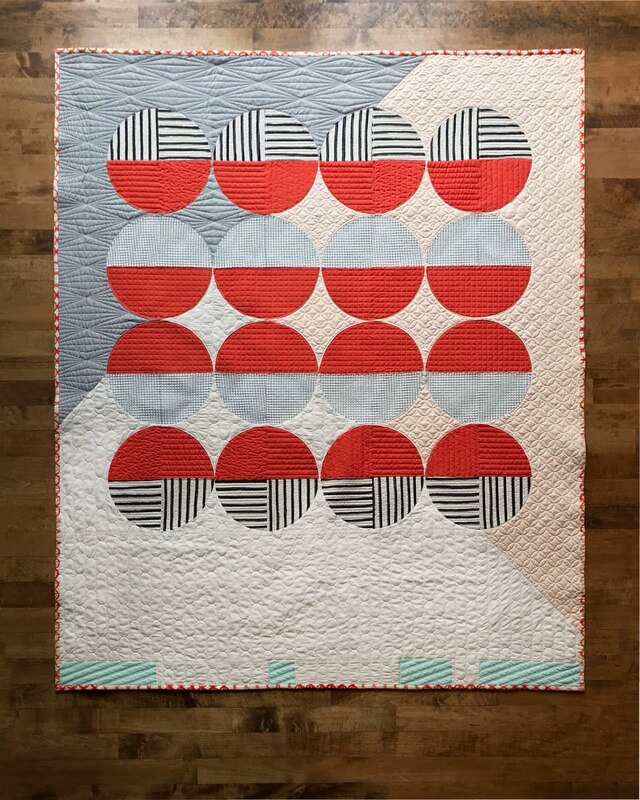 I've officially converted to a seams open quilter. 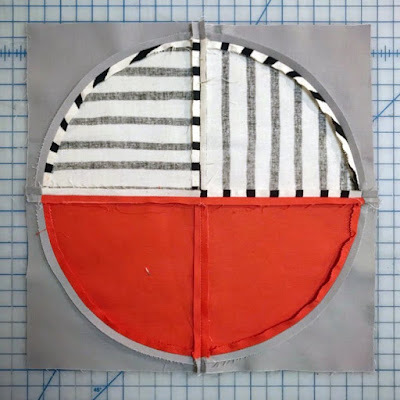 I didn't have a problem matching seams, I've always been a pinner, and I followed Christa Watson's advice from Instagram and shorten my stitch length. 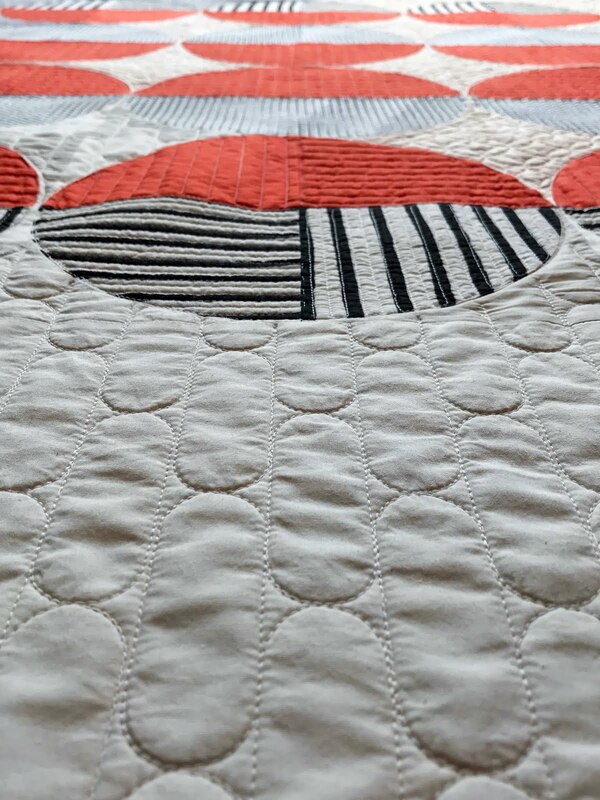 I'm really pleased with this quilt and so proud that I've now finished 3 quilts on my longarm. 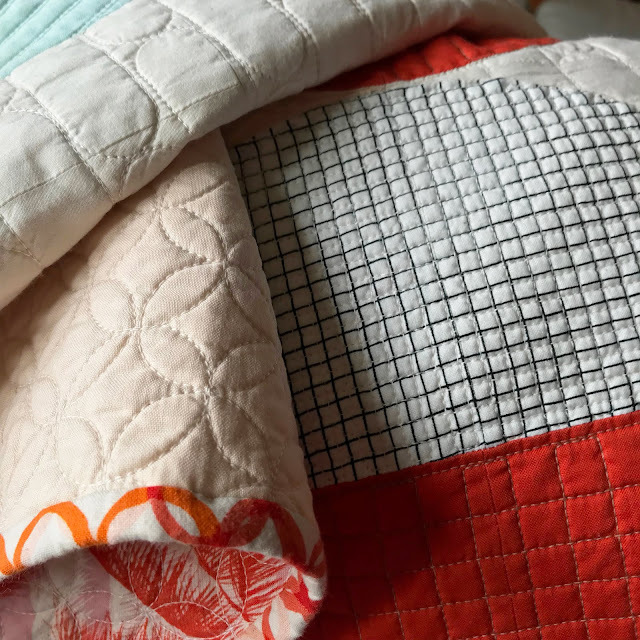 I have some crazy deadlines coming up, a quilt a week for the next 4 weeks, so I'm sure I'll be getting plenty of practice in.